Amrapali is one of the most successful jewellery brands in India today and has its roots in Jaipur. The brand is quintessentially Indian in its DNA, but has the versatility that allows its wearer to be a young bride or an older woman. We speak to the dashing heir of the brand, Tarang Arora, son of the co-founder, Rajiv Arora, who emphasizes how the Indian-ness is what keeps the brand in the forefront. Who is the woman you design for, and which celebrity do you think personifies the Amrapali woman? The great part about our brand is that we have great stages in the brand, we haven’t defined them because we love making jewels on every level. I don’t like categorising my jewels for particular types of women. You can find something for the mother who wants an anniversary present from her husband, and the daughter can find something in the store as well. 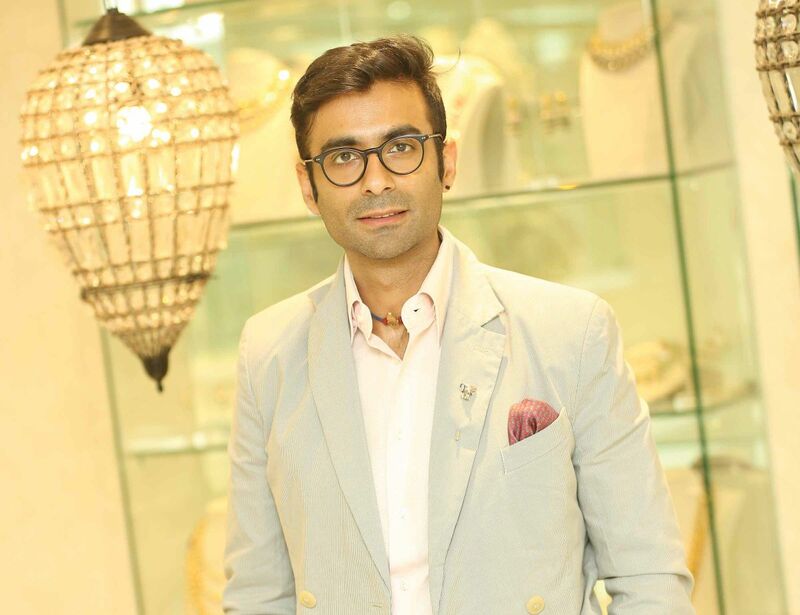 My passion has always been fine jewels and one-of-a kind pieces, but at the same time the important part is the offshoot of our brand --- Tribe by Amrapali, which is picking up more momentum. Which Bollywood star wears Amrapali beautifully, according to you? In Bollywood, Sonam Kapoor wears our jewels fabulously well, and Kirron Kher is another lady who carries off our jewellery effortlessly. The interesting part to note is that both women belong to completely different age groups, with different and almost opposite style sensibilities, yet, both are great ambassadors for our brand… There is a sense of beauty in versatility which our brand embodies. There is something for the edginess of Sonam, and something for the traditional oomph of Kirronji. When Kirronji goes to the Parliament, we have pieces for that too. Amrapali has an Indian DNA, so if you love that then this is the perfect place for you. What have some of your most interesting collaborations been with Amrapali? We’ve done one with Manish Arora which was quite exciting, one with Anamika Khanna, that was very good as well, and got us a great response; then we did something small with Swarovski as well --- they’ve got a lot of designers on board, and we were one of them, to try and see what can be done with the stone. The most exciting part undoubtedly has to be my vision coming to life, right from being able to buy the rough stone, get it cut the way I want, set the way I want, design the way I want to and have it in one of our stores; that’s the ultimate thrill. I love being part of the whole story of a piece and I get into the minutest details. Right from the inception of the piece to the time someone buys it, the whole process of knowing that piece and loving it, creating it and letting go is the most beautiful aspect of our business, and certainly the most exciting part. All over, everywhere…. The best part about our business is you get to travel a lot for work and pleasure. I get to meet different people, see different cultures, amazing museums, and clothing and have the opportunity to immerse myself in a plethora of creativity from around the world. Inspiration is not found sitting in the office or at home, you’ve got to get out there and look for it in the world. Being a local of Jaipur, what are some of the things you would recommend seeing or doing there? The Rambagh Palace undoubtedly, is one of the most beautiful places in the world, and we are lucky to have such an imposingly stunning structure in our city. Bar Palladio in the Narain Niwas Palace is another great place for cocktails, as is 1135 AD which is a breathtaking restaurant atop the Amer Fort.